The average driver weighs somewhere in the neighborhood of 300 grams. No one would consider that heavy. What if I told you that, during the swing, that driver weighed more. A lot more. Like, 140 times more. Would you believe me? And if you did, would you change the way you swung the club? In this lesson, with information from Rick Silva of Movement 3 Golf, I’m going to explain why the club gets so heavy, what you should do about it, and how you can make it lighter. Why Is the Club So Heavy? 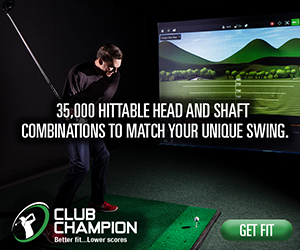 Depending on your swing speed, the club head can exert a force of 100 pounds or more during the swing. If you find this hard to believe, consider this: every golf club has a Center of Mass (COM). To find its location, find where the club will balance on your finger. The longer the club, the further the club’s COM is away from you. Now, picture a golfer from a down-the-line view: the further the COM gets behind the golfer, the greater the effective weight is. For another visualization, think about this: what would happen if you let go of the club mid-downswing? It wouldn’t drop to the ground; it would fly in whatever direction the club head was pointing when you let go. And it would fly a long way, because it’s moving fast and thus producing a lot of force. That’s why long drive competitors have forearms like Popeye – their clubs are trying to pull out of their hands at 160 MPH! If you knew that you were going to pick up 100 pounds, how would you set up your body? Would you stand up straight? Push your hips forward? Put your weight on your right leg? If you did those things, you’d either fail to move the weight or you’d injure yourself. Yet those are exactly the things that many of us do as we get toward impact. To create a safer – and potentially faster – impact position, think about the right way to approach lifting that weight. You’ll want flexion in your hips, your weight balanced between your feet, and your chest pointed slightly toward the ground. How Can You Make the Club Lighter? First, we can organize our Hub-Path and the club’s COM. Let’s quickly define Hub-Path. The Hub is where the two hands meet on the grip. The Hub-Path, then, is the path that point moves along during the swing. By getting the Hub-Path and the club’s COM to work together, we can reduce the force the club puts on our body. Second, we can improve the function of our hip joint. Many golfers (and golf instructors) think of the hips as one thing that rotates back and forth during the swing, but in fact the hips are made of two independent ball-and-socket joints. We need to consider each joint’s range of motion and how to use it to move the club safely and quickly. Finally, we can curve the Hub-Path to pitch the club “out” earlier in the downswing. If having the club’s COM behind us makes the force greater, having it in front of us sooner will reduce that force. For further information on how you can apply these ideas to your golf swing to make the club lighter and add speed, contact Rick Silva at Movement 3 Golf. And now this article… even to me this seems unnatural, too technical and an odd selling technique of some training method… not speaking that after reading it twice I have no clue what to do… other than being puzzled from the paragraph, where it is suggested that COM should be more in front, not behind, which I think contradicts the lag… as lag is all about having COM behind HUB and thus create speed… or? Lag does not create speed, that’s a hidden nugget in what’s being explained here. The biggest takeaway from this post, to my mind, is that there’s a lot of force being put on the body during the swing, and it would behoove every golfer to consider how they’re setting up to deal with it. 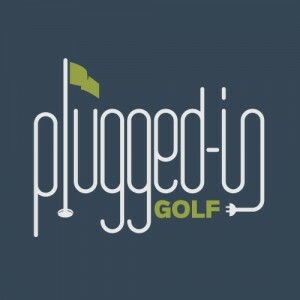 Plugged In Golf (and I, personally) contain multitudes. We can enjoy and benefit from the latest science and also understand that thinking about science on the course won’t help golfers score better. I agree with Peter and Matt’s answer/explanation did very little to shed light on the article’s intended message. While I’m interested in this important topic, saying that impact positions/motions are not good because they aren’t good for lifting a 100 lb weight. is not at all convincing. Swinging an object around ourselves on an inclined plane requires a completely different motion from vertical lifting, plus the “weight” of the golf club is changing throughout the swing, so the physical demands are different at different instances during the swing. I get the idea of forces being larger than we may perceive, but the physical requirements for lifting 100 lbs. vertically are not the same as the swing around forces during a golf swing, so one cannot invalidate the impact positions using this example. When did I say I was trying to “invalidate” anything? I explained a fact about the force the golf club is putting on your body, and I suggested that people look at their impact positions to see if that is position from which they can safely resist said force. 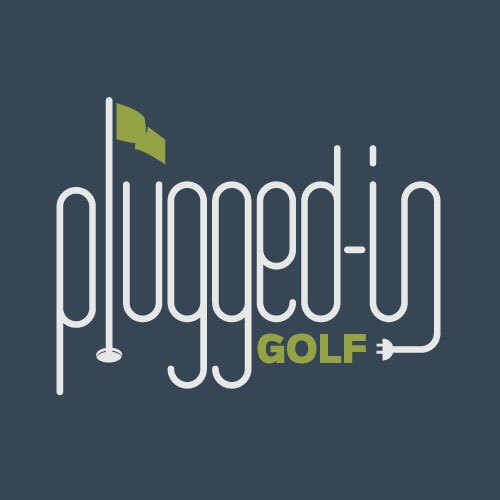 I will go out on a limb and say that no one who is playing golf at a high level or creating much speed is doing the things that I suggested are negative. What is your background sir? I just wanted to say that I enjoyed the article. It complemented the podcast episode on kinematics and fitting very well. My takeaway from the article is that a golf swing is an athletic movement, and you need a proper setup in order to maximize energy and to do it safely without injury. My trainer at the gym always emphasizes engaging the core when doing a kettle bell swing so that you do not hurt your back. I’ve been trying to incorporate that more into my golf swing because my previous method had been putting a lot of strain on my back. I haven’t played in a few seasons but would like to get back to it in this spring. I live in the Northeast so winter golf is a no go. Anyway, I enjoy the articles and the podcast!